$200,000 reduction! Custom ICW waterfront 5/4.5 estate built 2017. This North Roscoe Boulevard estate home features Wide plank dark hardwood floors throughout, quartz countertops, and stainless steel appliances. 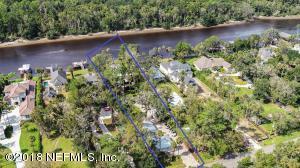 Go fishing, tubing, or kayaking from your extended backyard and covered boat dock with lift where dolphins and manatees can be seen swimming. 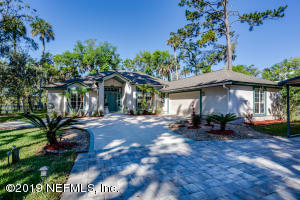 Oversized pantry, laundry room, and 3 car garage with extra storage features an in-law/guest suite above it. Tons of closet space and room for storage. The downstairs bedroom can also be used as an office or nursery. Chefs kitchen boasts double ovens and a large food prep island with seating. Master bedroom is located on the first floor. 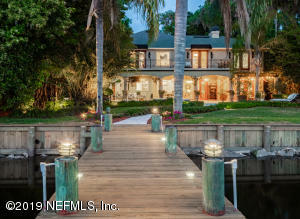 Upstairs, the loft opens to a balcony overlooking the water. 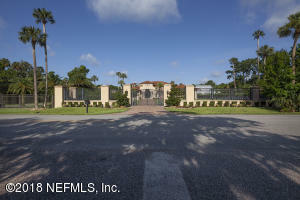 Close to restaurants, shopping, and beaches. 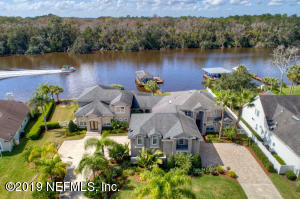 This custom waterfront home is located on the north end of Roscoe - the best kept secret in Ponte Vedra Beach. 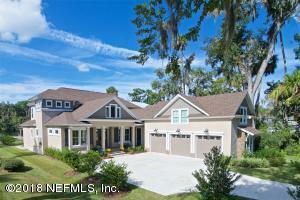 It's a 1/2 mile stretch of beautiful ICW homes with no thru traffic. 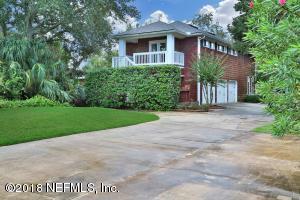 This ideal setting is convenient, private & family friendly. 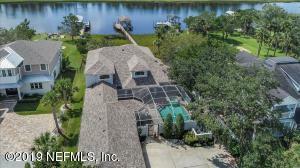 3 car oversized garage with 2/1.5 mother in law suite to live in while you build your dream home on this large waterfront. 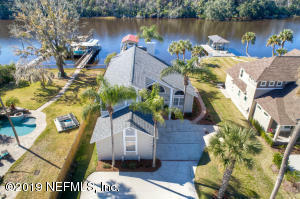 Inground swimming pool, dock with 2 boatlifts, architectural plans for @3,200 sq ft main home included or design your own home!